To most Americans, Madrid, Barcelona, and Seville are the main cities of Spain. Less discovered but arguably just as historic, cosmopolitan, and exuding Spanish flare is Valencia. 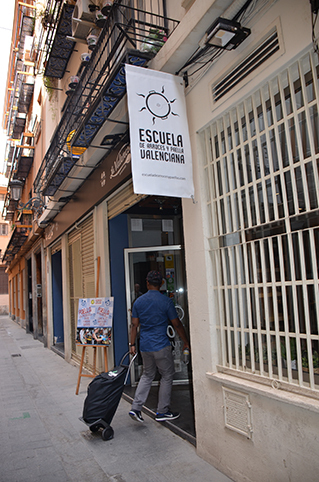 Our comfortable hotel, AC Hotel Valencia, clearly catered to tourists, was conveniently located near major shopping and a five-minute walk from Valencia’s City of Arts and Sciences. Although you are in a city, the beach is a stone’s throw away. We found Malvarrosa Beach, for example, to be a five-minute drive away and only a 15 minute cab ride to the old city. So, we ditched our car in the underground parking garage and then decided to get around by foot and cab for the next two days. We were up at the crack of dawn for a brisk walk along the more than six-mile Garden of the Turia a few blocks from our hotel. This greenway in the middle of the city was once the bed of the Turia River. How this greenway came to be is a fascinating story. For years, the river would overflow. The last straw was in 1957. The Turia flooded the city once again, causing loss of life and significant property damage. 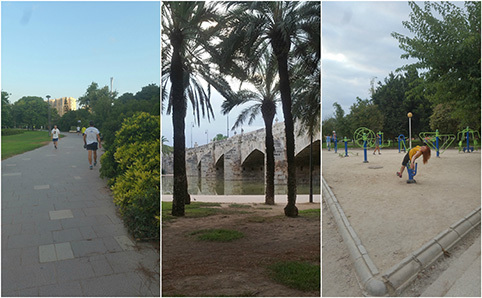 The “Great Flood of Valencia” resulted in a decision by the government to divert the river completely, leaving behind a riverbed that was turned into a sunken park for cyclists and pedestrians. Today, throughout the park, there are many ponds, gardens, fountains, and calisthenics stations. Dawn turned out to be the best time to enjoy the park (for those who did not stay out until the wee hours last night! ), along with other early rising cyclists, joggers, and dog walkers. It is very safe and traffic free as the cars pass overhead via the many stone bridges bypassing the area. 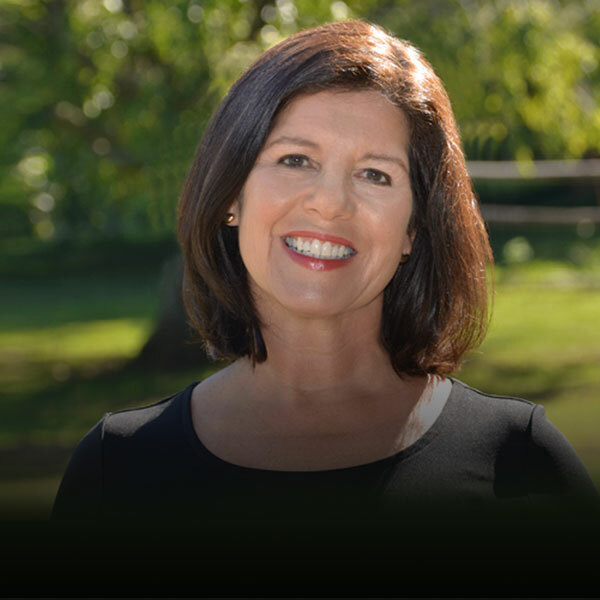 You can scour the guidebooks, Yelp, and Trip Advisor, but nothing beats a one-on-one guide to trim hours of research time and to make a destination come alive. Ours was Josep Alberola, a professional world traveler and walking encyclopedia when it came to the history of Valencia. 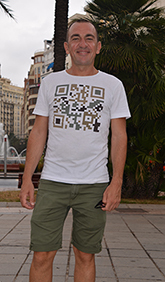 He marched us through the maze of the historic old city and entertained us with picturesque anecdotes about such spots as the Silk Exchange, the Central Market, the Cathedral of Valencia, and more. 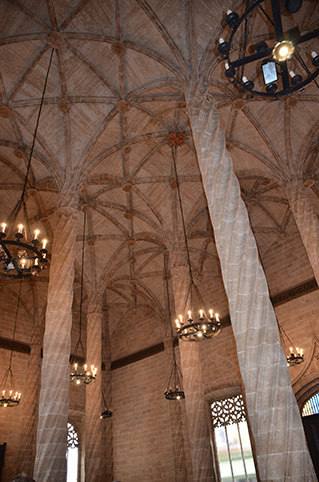 The Silk Exchange (La Lonja de Seda) was built in the 15th century and was the epicenter of the trading of the famous Valencian silk, which was sold throughout Europe. Climb the 144 stone steps for a sensational view of the city from the tower. 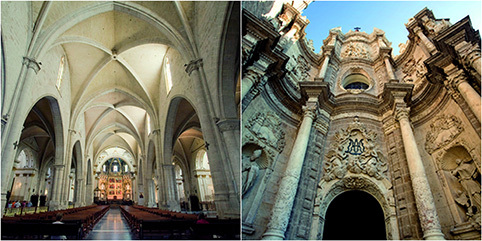 Mimicking the changing of the rulers throughout Valencia’s history, the cathedral was built on top of an Islamic mosque, which was built on a Visogothic cathedral, which was constructed over a Roman Temple. 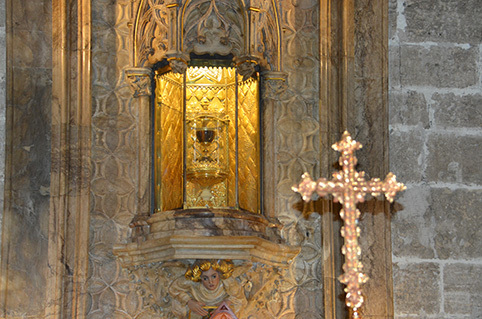 On display is the “Holy Chalice,” which is said to have been the actual cup Jesus that used during the Last Supper. 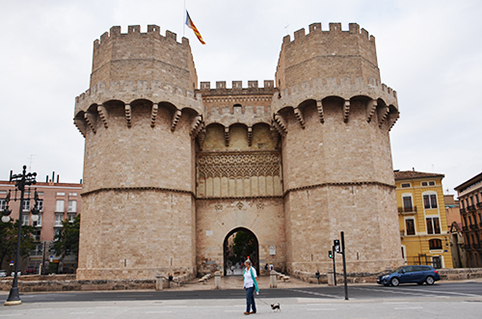 One of 12 gates of the ancient Valencia wall, the Serrans Gate dates back to the 14th century. The wall was sadly torn down in 1865, but this is one of the remaining gates. 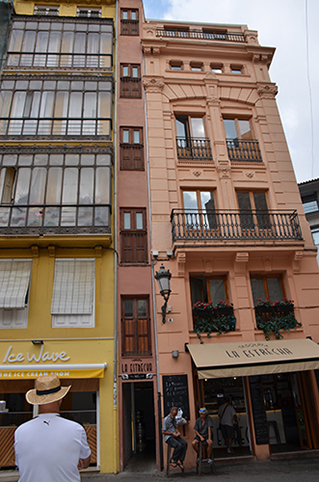 Literally translated, La Casa Mas Estrecha is the narrowest building and wins the honor for all of Europe. At one time, the house was actually occupied by a family. But today, it has joined the bar next door. It is only 42 inches wide—not wide enough for today’s flat screen TV to fit across! A little over 30 years ago, ancient Roman thermal baths were discovered below this more than 2000-year-old ancient square by metro line workers. Today, the thermal baths can be viewed through a glass floor, shimmering below shallow water from the street level. Tired from a long day on our feet, we were happy to tuck into one of the many touristy sidewalk cafes just outside our hotel for wine, cerveza, and salad. 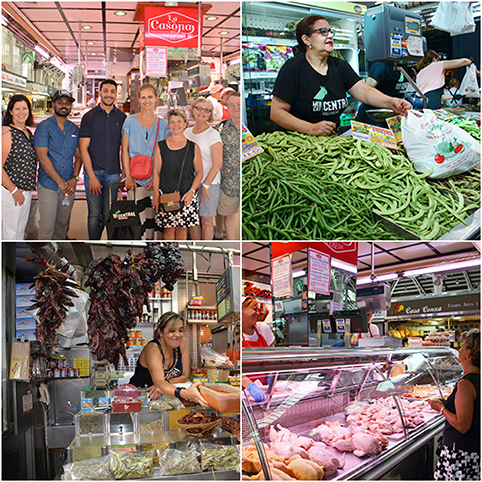 Refreshed and ready to go for day two in Valencia, it was time for a serious exploration of Paella, the famous Spanish dish that seems to have many “authentic” variations. 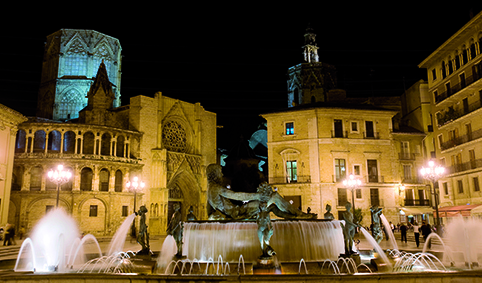 Paella may be considered the national dish of Spain, but Valencia claims it as its own. It’s said that paella was born in the outskirts of the city of Valencia. Its origins (as those of many other rice dishes) lie in the rice paddies around Albufera Lake that we visited. As the Moslems conquered the Iberian Peninsula in the 7th century A.D. they brought with them several new cultivations, among those, was the rice, brought from China. Albufera Lake provided the perfect conditions for the cultivation of rice, since it is a plant that needs plenty of water and mild weather conditions to grow. And so, a culture of rice grew in the area and which was followed by the Christians after they took back the region during the 12th century. 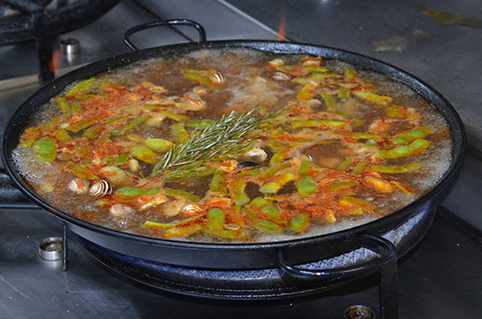 Although recipes of paella seem to have been around since the late Middle Ages, the current recipe for the paella appears to date back to the 17th/18th century, when ingredients like the tomato (some peeled tomatoes are fried and mixed with the broth and the rice), were brought from the Americas and began to be more widely used in Europe. I’ve been making it since the ’70s but had an awakening when I discovered that authentic paella for purists is not what I’d thought. 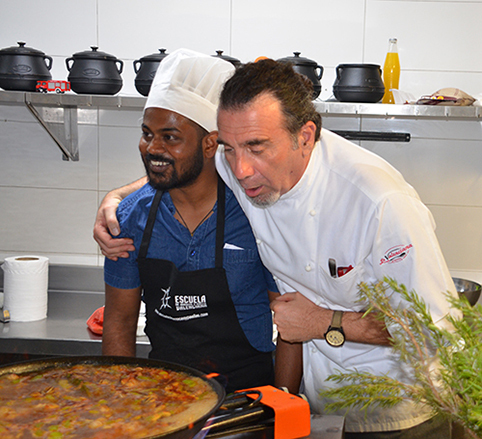 This led me to sign us up for a unique paella cooking course at Escuela de Arroces y Paella, an experience that I highly recommend for anyone who really wants to explore the art of making this traditional dish. Held in a small backstreet bistro on Calle Obispo Don Jeronimo, we joined couples from Australia and France and also a young Sri-Lankan fellow in a day that started with selecting ingredients at the local market with our guide and ended with eating our own fully cooked paellas, salad, and free-flowing wine led by showman Chef Beni. (RIGHT) DOMINGO RODRIGUEZ LOPEZ, LA PARADA DE LAS ESPECIAS, SELLING SAFFRON FOR THE CLASS PAELLA. 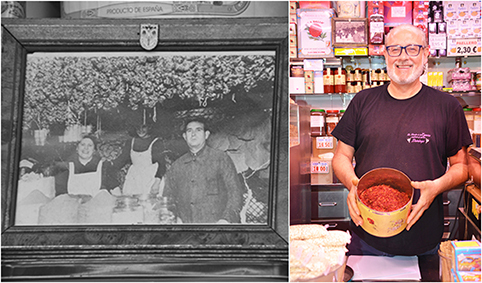 (LEFT) FAMILY PHOTO ON DISPLAY DEPICTING ONE OF THE FOUR GENERATIONS OF THE FAMILY BUSINESS THAT BEGAN 125 YEARS AGO. The Central Market is a must visit for foodies. The massive building was built in the early 1900s and is an architectural marvel with its giant columns, vaulted ceiling and some 1000 food stalls. It is the ultimate farmers market. In between were several magical hours of conjuring the perfect pure Valencia paella, complete with just-right heating, chopping, tossing, boiling, sniffing, and simmering as directed by Chef Beni, a tall, ruggedly handsome Valencian who had us dancing and singing around the stoves in order to inject each pan with love and happiness. Just like many Texans say “chili should have no beans,” we discovered that the original paella of Valencia is made with white rice (they use la bomba rice), chicken and rabbit (cut in small pieces and must have the bone so thighs are good), fresh beans (green and white like lima beans), tiny snails, flavored with saffron (a pinch, please!) and paprika, and also seasoned with salt. 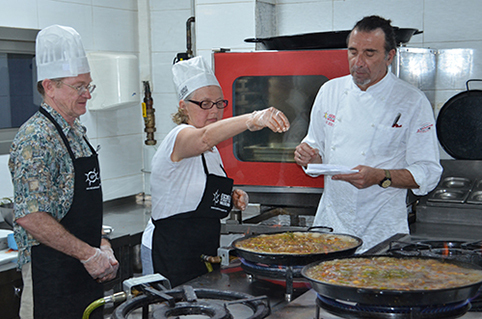 CHEF BENI CHECKING TO SEE IF STUDENT’S PAELLA IS DONE. IS THE AROMA JUST RIGHT? That’s it. No garlic, no onion, and no chorizo! 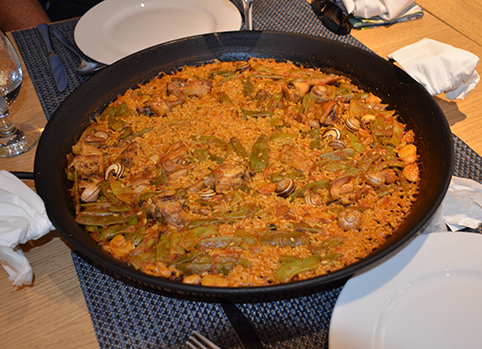 We learned that there are other types, of course, like seafood paella, vegetable paella, and mixed paella. But this one from Valencia is considered the standard. The secrets are in the shallow pan, using the right rice to absorb the water, choosing meat with the bone for flavor, and patience. ¡ahí está! THE FINISHED PAELLA READY TO EAT OUT OF THE PAN! The bomba rice is better than regular long-grain rice because of its ability to absorb much more water than long grain, while keeping its structure and not turning to mush. Best part, Valencians say, is the crusty bottom of the rice in the pan. Of course, you must have the right paella pan. It helps if you have a gas burner to fit the large pan or do this on the barbecue. Paella is a one-pot and one-serving dish meal. 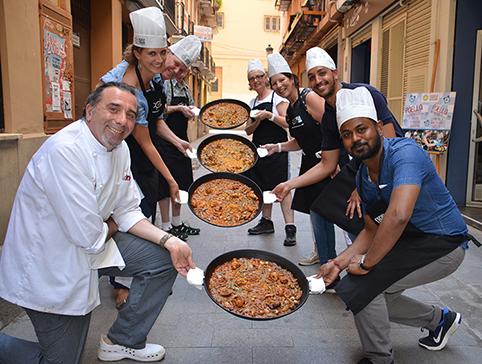 Local custom is to share the paella, eating it directly from the pan. Smack the hand of the person who dares eat from your side! Inspired by a day immersed in Valencia history and culture, we decided to end it with a late night supper of tapas and found the perfect spot in the Ensanche district, just a few blocks south of the old city, where there were many good choices. CITY OF ARTS AND SCIENCES. 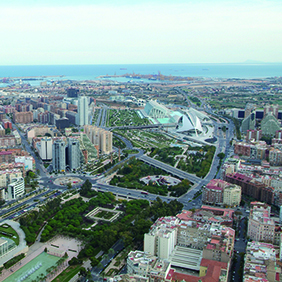 (CLOCKWISE FROM TOP) (LEFT) L’HEMISFÈRIC, IMAX, PLANETARIUM AND LASERIUM (RIGHT) EL PALAU DE LES ARTS REINA SOFÍA. OPERA HOUSE AND PERFORMING ARTS CENTER. EL MUSEU DE LES CIÈNCIES PRÍNCIPE FELIPE, THE SCIENCE MUSEUM WITH ITS BUILDING DESIGNED TO LOOK LIKE SKELETON OF WHALE. 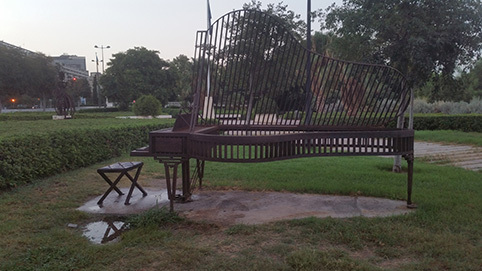 DINOSAUR EXHIBIT. MUSEUM VISITORS HAVING A BALL TRYING TO BALANCE. 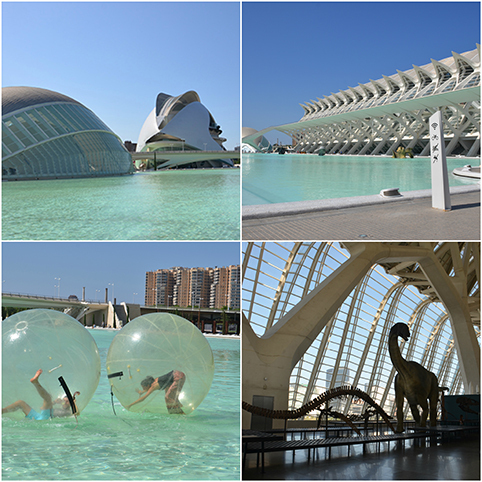 There is no better example of modern Spanish culture than Valencia’s City of Arts and Sciences, a complex of impressive buildings that’s located at the southern end of what was the Turia river bed where we spent most of our final day in Valencia. El Museu de les Ciències Príncipe Felipe, a science museum that looks like the skeleton of a whale. L’Umbracle, a sculpture and plant garden featuring native plants. L’Oceanografic, considered the largest aquarium in Europe. The design displays the creativity of Felix Candela with the aquariam built in the shape of a water lily. El Palau de les Arts Reina Sofia is a performing arts center and opera house. No visit to Valencia is complete without a stop here. Its port is considered the largest on the western coast of the Mediterranean and is Spain’s second busiest in terms of seagoing traffic. Probably most famous for hosting the 32nd America’s Cup in 2007, Valencia’s port is a great and often rare example of how a city successfully turned the opportunity of a major sporting event into a sustainable way to beautify its landscape and seaport. The port is now divided into two sections with one side exclusively for pleasure craft and the other for its maritime industry. A new harbor was built, complete with buildings for each of the racing teams. 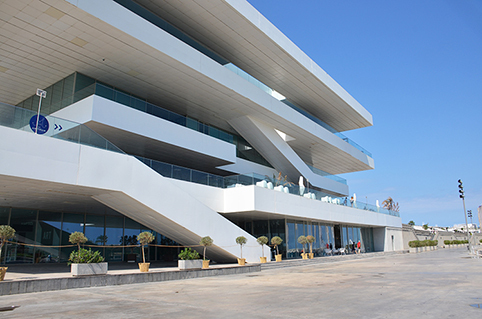 The America’s Cup Building, known as Veles I Vents, the centerpiece of the harbor is a four level, spectacular structure of seemingly floating floors. The name was inspired by a 15th century poem by Ausias March about the strength of the wind. Designed by British architect, David Chipperfield, the building has won numerous architectural awards. 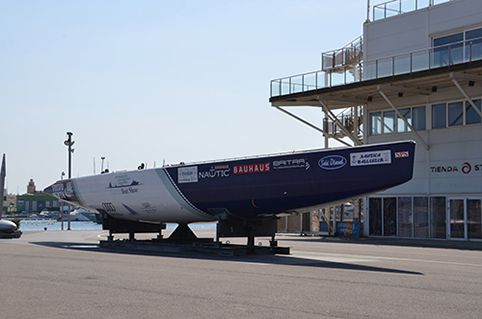 We took time to visit the exhibition “The House of the Americas Cup” to learn about the history of the race from 1851 to 2013 and to enjoy the amazing views. We found a spectacular view of the marina and had an amazing lunch at, La Maritima, a five-star restaurant and National Gastronomy Award-winner led by the Andres Salvador family. You can enjoy the Mediterranean breeze on the deck and watch the sailboats pass by through the massive glass windows. We couldn’t resist the fried salty plantain chips with a cold local beer to start. 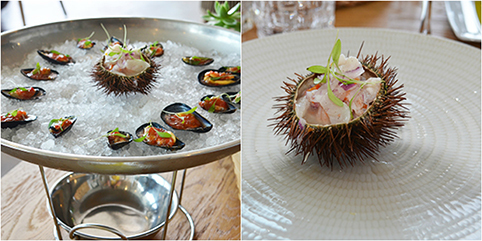 We tried the local seafood, which is its specialty, including the mussels and sea urchin. We were surprised, not only can you eat along the Saler Beach, you can cozy up to the bar on the beach to sip a mojito with the sand between your toes. 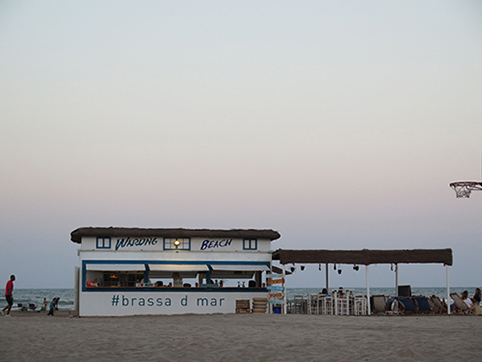 There are numerous beach bars plunked right in the sand, complete with bar stools and comfy chairs that are perfect for watching the sun set while sipping a mojito.